Geeks are often some of the hardest people on your Christmas list to shop for. They always seem to have everything, and they have really specific taste - do they like Star Wars or Star Trek or Stargate? Are they into Minecraft or Final Fantasy? Are they a gamer geek or a gadget geek? If you get it wrong, they’re going to tell you in a loud and obnoxious way, in front of everybody at the Christmas party. Geeks by nature spend a lot of time in front of the computer, whether it’s in the dev lab at work, or gaming at home. 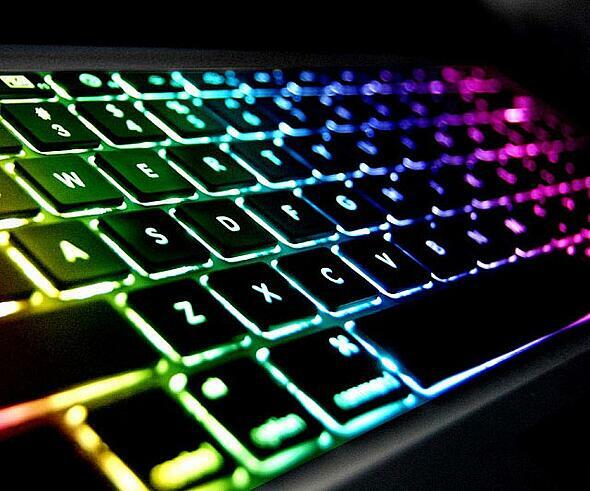 With this funky keyboard skin that lights up with a colourful glow, your geek will be a hit at the office or LAN. This technicolour cover features a non-slip surface making it perfect for gaming. 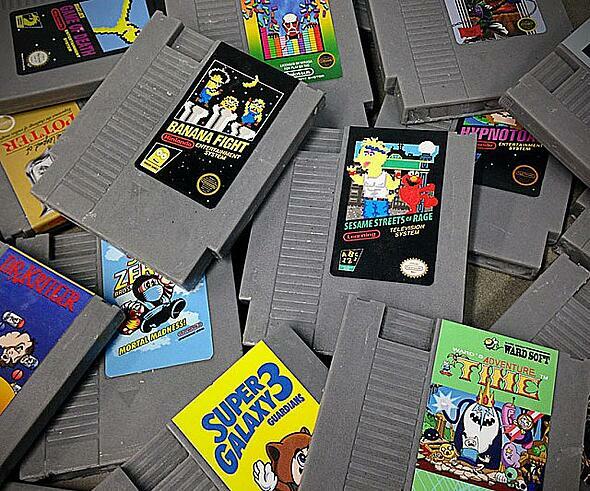 Your geek probably fondly remembers their early gaming days, where games weren’t downloaded from the cloud but came on thick plastic cartridges. These Nintendo cartridge soap bars make an awesome stocking stuffer and mean your geek can spend hours in the bathroom battling 8-bit bad guys … wait a second, is that a good thing? 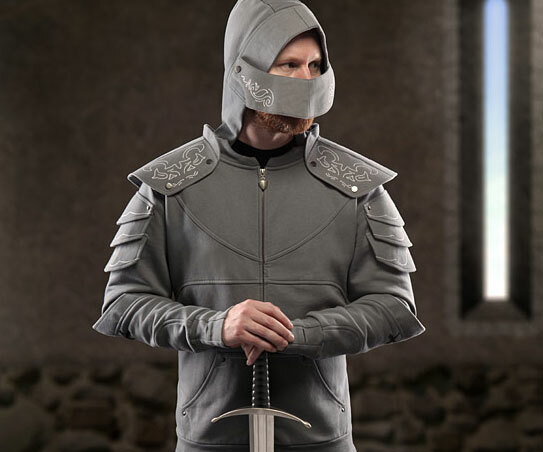 Slay dragons, sing songs of Camelot and rescue the maiden in this Medieval Knight hoodie from Think Geek. You can remove the spaulders and visor with snap buttons, so taking you from full-on knight-mode to a slightly more respectable level of normal. Do you find your geek is spending too much time at the vending machine and not enough time digesting actual, real food? Get ‘em interested in a healthy sandwich with these retro Tetris sandwich moulds. 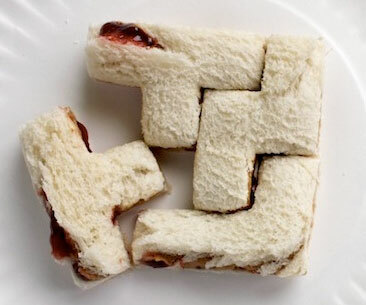 Simply place the mould over the bread and press down - now the sandwich is cut into individual tetris pieces. Score! I’m going to bet that if you’re trying to buy for an IT geek who has everything, he/she probably doesn’t possess a print of this masterpiece of modern art. 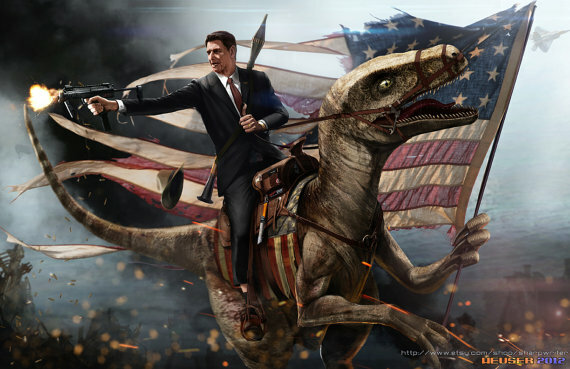 As the 40th US president, Reagan started a successful anti-drug campaign, subdued Gorbachev and the entire U. S. S. R, and invented Reaganomics - it’s no stretch of the imagination to assume he had the CIA clone dinosaurs for him to ride about on. What do geeks love more than their cats? Cat memes, of course. 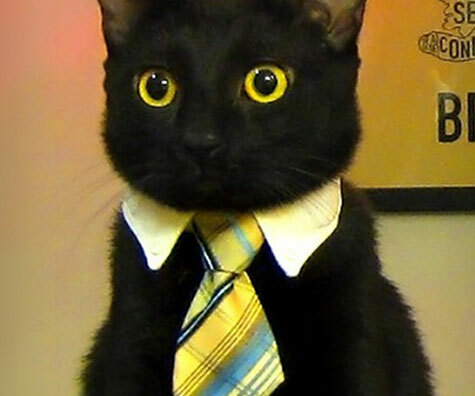 Business Cat is an extremely popular cat meme that’s been around on the internet for years. With this cute little cat tie your geek can make his/her favourite fluffy critter into the CEO. Beware: Giving this gift will result in gratuitous cat-related Facebook posts. Do you have a gourmet geek in your house? 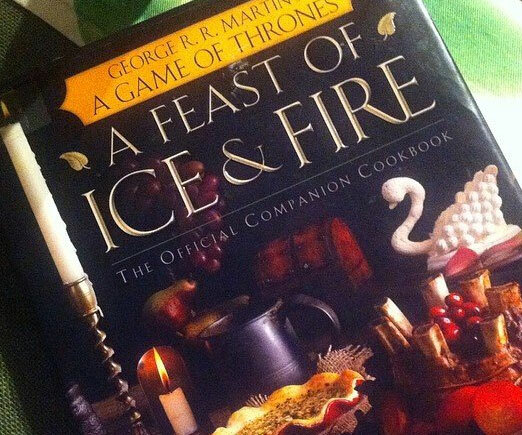 Inspire the next culinary quest with the official Game of Thrones cookbook. Within it’s pages you’ll find all the recipes required to create an authentic Winterfall feast in your own home. A passion project from superfans and amateur chefs Chelsea Monroe-Cassel and Sariann Lehrer—and endorsed by George R. R. Martin himself—A Feast of Ice and Fire lovingly replicates a stunning range of cuisines from across the Seven Kingdoms and beyond. From the sumptuous delicacies enjoyed in the halls of power at King’s Landing, to the warm and smoky comfort foods of the frozen North, to the rich, exotic fare of the mysterious lands east of Westeros, there’s a flavor for every palate, and a treat for every chef. There are many female geeks out there, and we love to honour our favourite fandoms while looking totally fabulous, of course. Australian clothing label Black Milk understand this, which is why they have a cult following of more than 700,000 geeky ladies across the world (myself included!). Recently, Black Milk released a range of officially-licensed Harry Potter pieces, including this stunning skater dress (that can be worn two different ways!) featuring the Marauder’s Map design. Board games are making a comeback worldwide, and they are definitely big in geek circles. 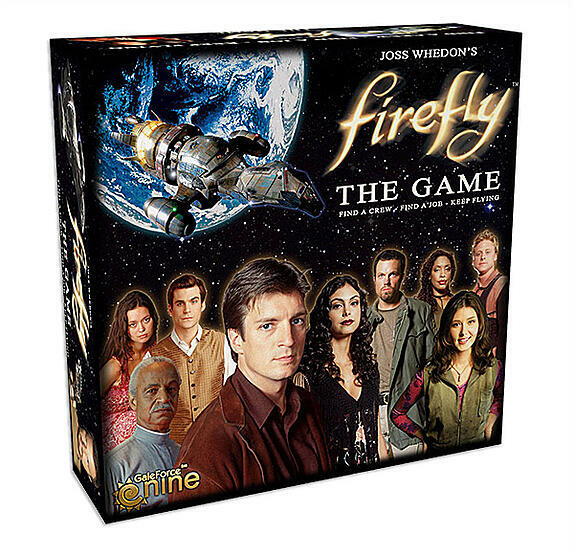 Why not surprise your geek with this officially licensed Firefly game - relive the excitement of one of the biggest cult TV shows of all time as you pilot your own Firefly-class ship and zoom around the ‘verse getting into all sorts of trouble. Watch out for Reevers! Does your geek love to work out but . Does she long for a workout routine that doesn’t require spandex? Well, make your geek’s Christmas by gifting them a membership to NerdFitness - a website and fitness academy dedicated to everything nerdy. 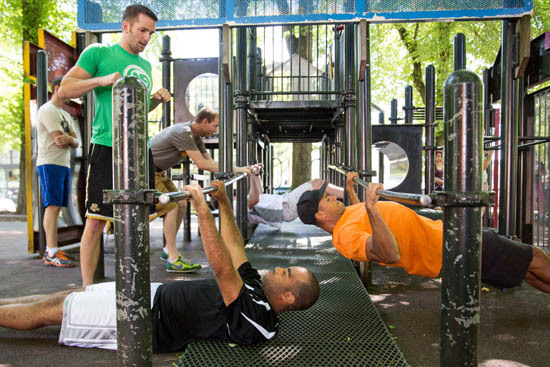 From workouts based on Star Wars and 300, to a full-on program for breaking down bad habits and “levelling up” to awesomeness. What are you buying your geek for Christmas? Share your geeky gift ideas in the comments below.